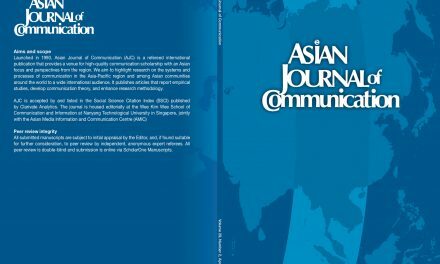 Four 2016 issues of Asian Journal of Communication (AJC) and one Media Asia issue are already out. AJC Vol. 26, No. 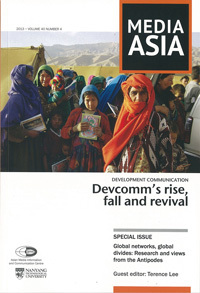 4 (August 2016) contains articles probing communication styles in different areas of the world, such as comparing the presidential rhetoric of South Korea President Lee and US President Barack Obama. Theoretical articles are presented, such as probing moderating role of cultural orientation in explaining temporal orientation of self-referencing, and examining a new contextual perspective for crisis communication theory comparing the Eastern and Western traditions. 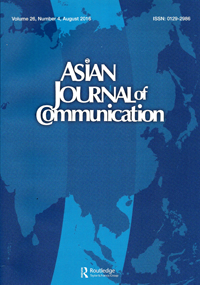 Communication issues that have arisen in specific countries are also probed, such as an examination of Chinese media’s implicit and explicit agendas; changes of cultural representation in Indonesia’s children’s television from 1980s-2000s; and examining the impact of message framing and temporal distance related to the communication to young Chinese of the human papilloma virus. 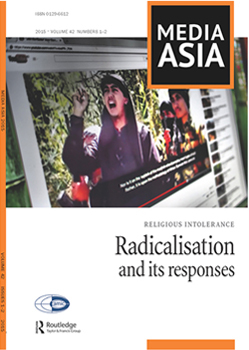 The AJC August 2016 issue also contains a book review of Making news in India: Star news and Star Ananda, written by SomnathBatabyal and published by Routledge. Meanwhile, Media Asia Vol. 43, No. 1discusses the national anniversaries of Philippines and Indonesia as “narratives of remembrance”, with an interview of Dr. Crispin C. Maslog, AMIC Board of Directors chairperson, remembering the People Power Revolution. It contains two articles on what happened in Indonesia in 1965 when the Sukarno government was overthrown. 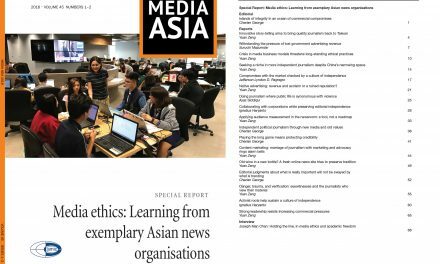 Articles also include a discussion of Japan press clubs, a Chinese dating show, television in India, reporting on the Malaysian Airline MH370 tragedy, border radio in Thailand and Malaysia, Indian Media Organization, and social media influencers in Singapore.